There’s always a better surf up the coast, over the hill or around the next point. So how do we get there? First we check the internet. Obviously some weather guru from “whatever.com” can point us in the right direction. Hop in our state of the auto-art, globally connected, GPS controlled plastic surf-mobile and off we go. No need to get the mates, they’re already on the same app; and you can talk to them through your well-connected dashboard while driving. Don’t bother to stop and look, all the best weather guru’s have little camera’s that shoot a streaming video straight to your tablet, precisely mounted so you can see it while driving, ahh the marvels of modern surfing. Well, believe it or not some surfers back in the old days actually looked at a weather map in the paper and tried to work out what all the little lines meant. For the really advanced there was the barometer hanging on the oldies wall. 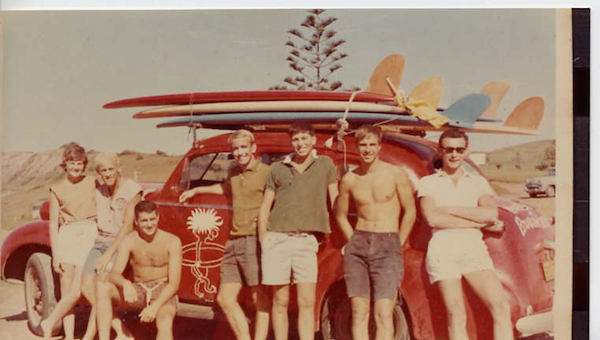 So began the best trip of all, the old surf safari. Get all the mates together, see if you could pool enough money to fuel whatever beast someone had bought that resembled a car. Hopefully it had racks, although they weren’t really necessary, then all pile in and off you go. It almost didn’t matter which way you went, and even if others were already there that would be fine. Congratulations all round for being on the ball in finding the spot and into the waves. No hassling, no agro, just a bunch of old and/or new friends having fun. Yep, it must be fun nowadays driving up or down the coast knowing every surf school graduate with a smartphone is on the road with you. If you can make it through the parking lot rage unscathed you can hit the water and enjoy a surf with your new friends. They’re the ones that don’t talk to you and scowl if you actually get a good wave. 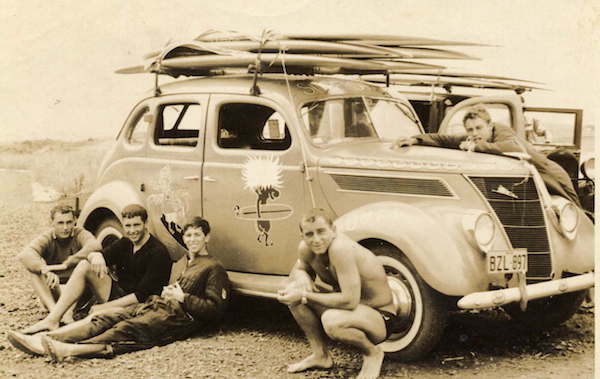 Things just aren’t what they used to be, and the new Surfin’ Safari just got old. In the immortal words of Bruce Brown, “ya shouda been here yesterday”…! 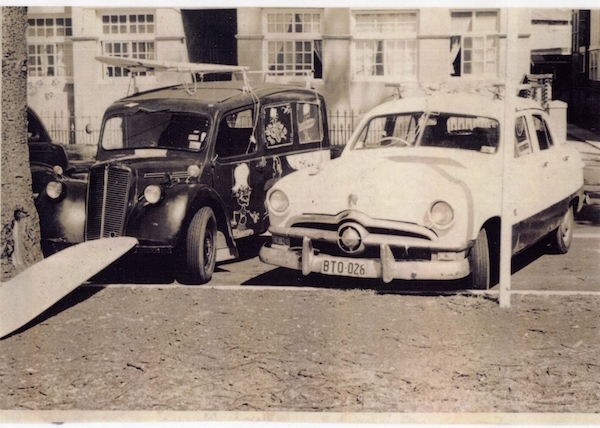 Endnote: All these photos were taken in the late 1950’s or early sixties by Ron “Babalooey” Graham. 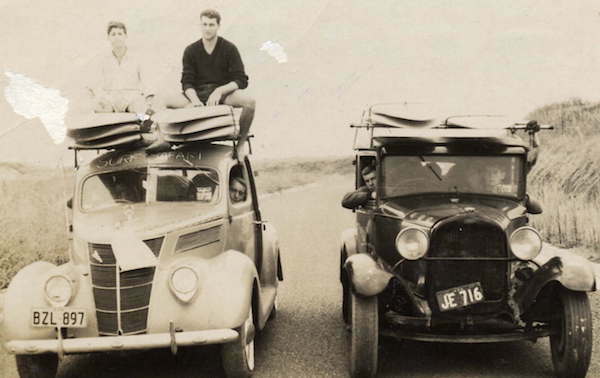 The blokes are all old mates of his and were the early surfing crew at Manly (Sydney, Australia)….. and out of interest I just reckon there’d be a few Bennett Surfboards on those old cars as well. Words by Bryan Hughes, photos © Ron Graham.